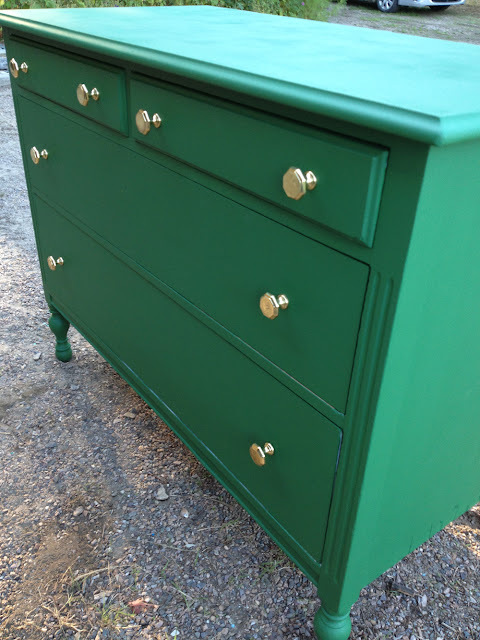 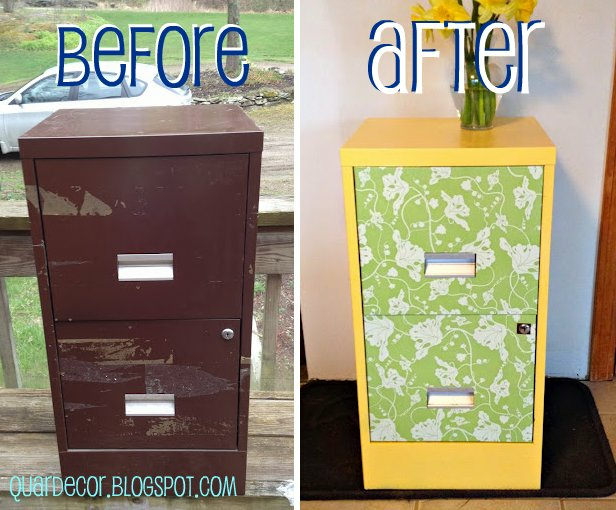 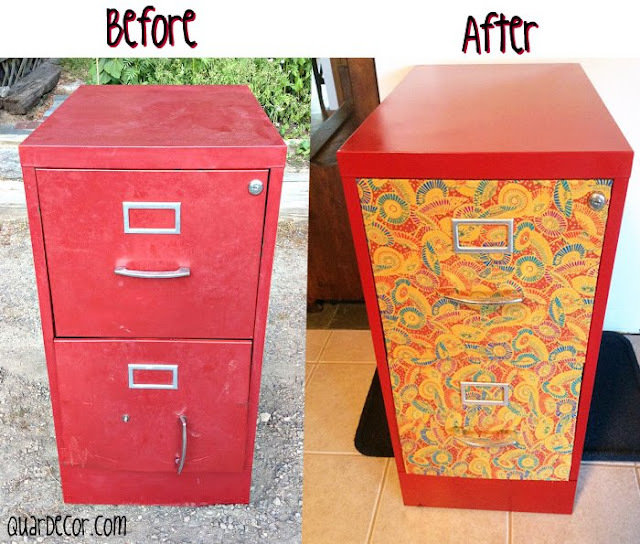 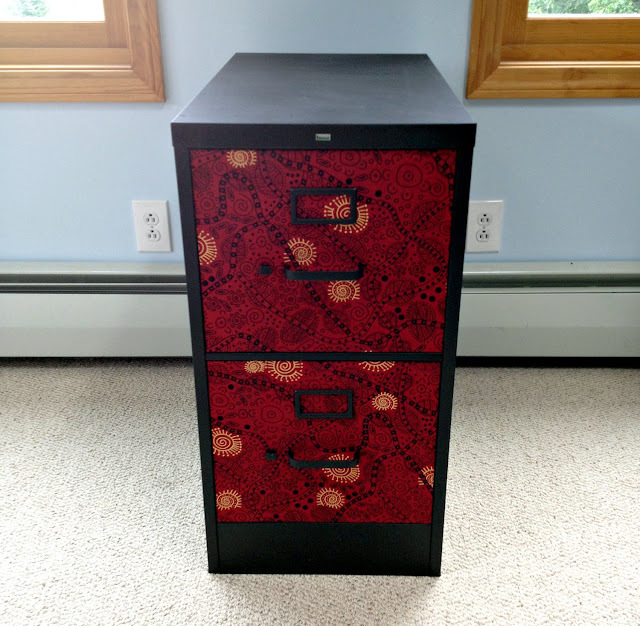 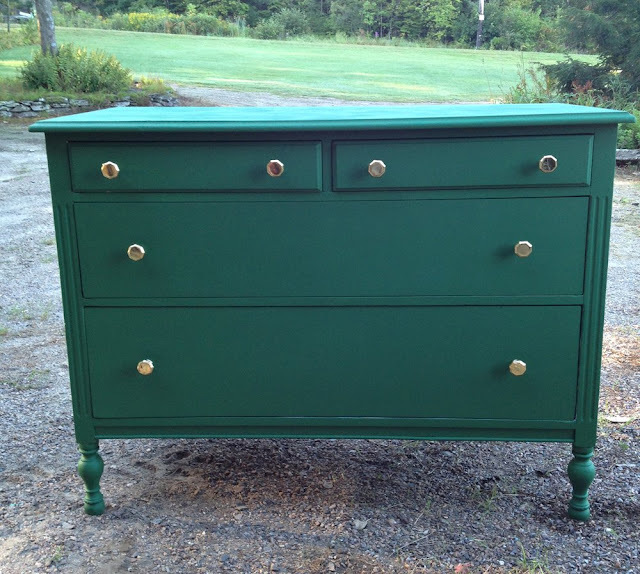 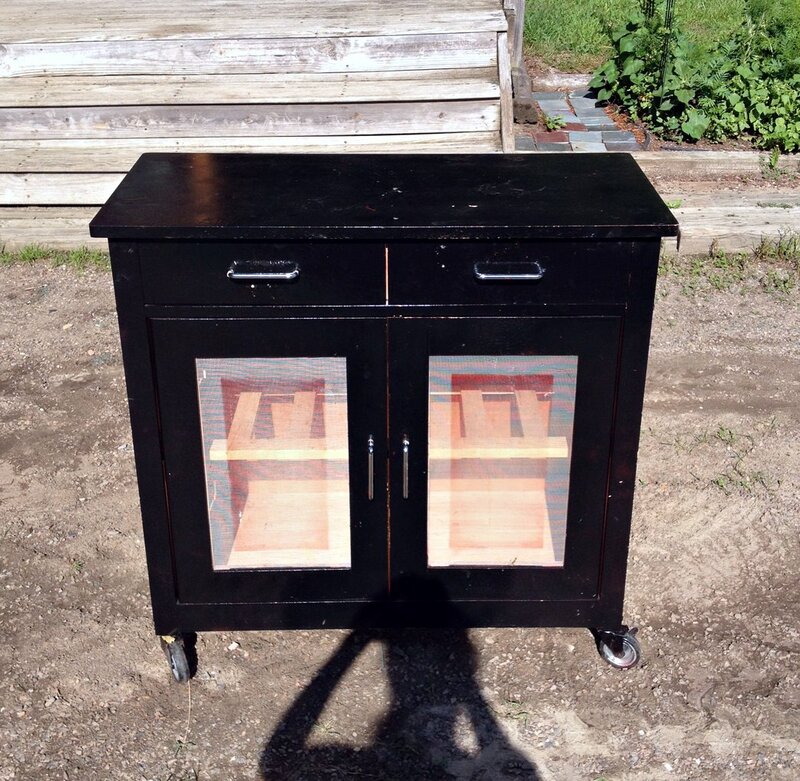 Fancy File Cabinet Fix Up: Bold, Bright, Beautiful! 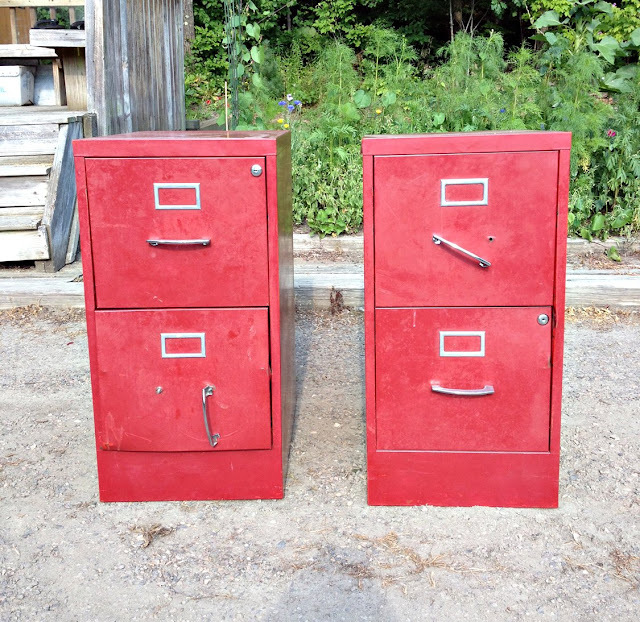 I picked up two free file cabinets through Craigslist last week. I find a lot of free stuff, but I usually have to work for it. Often times I have to carry heavy pieces up or down several flights of stairs on my own. 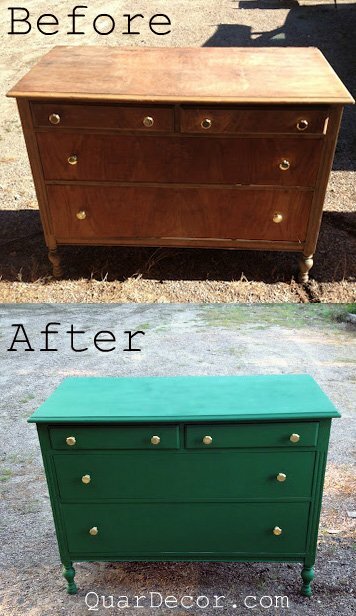 That's the price I pay to get it for free! 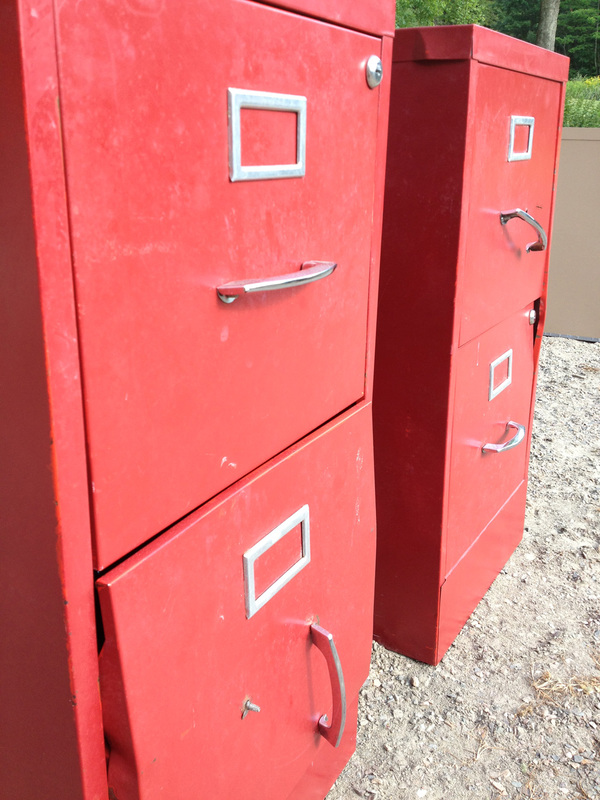 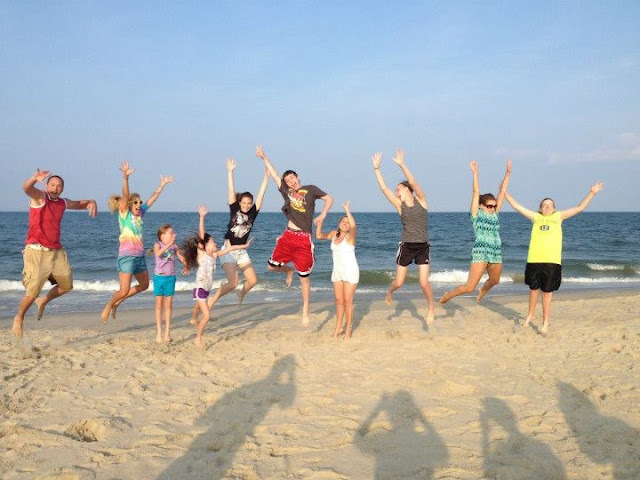 These people just want their "junk" taken away, and they don't usually want to do it themselves. So Mike and I carried these file cabinets down two long flights of stairs and brought them back to the house for some fixing up. 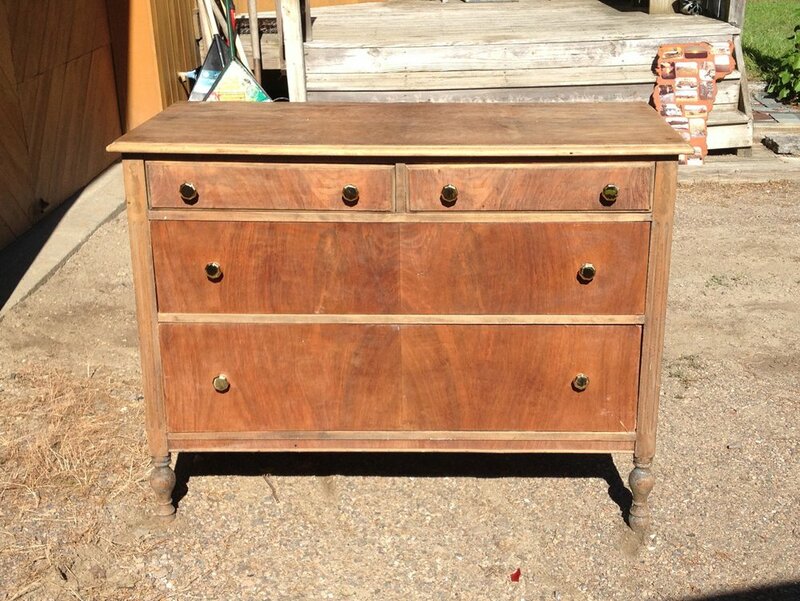 I literally had to take a hammer to these guys to bang the drawers back into shape so they could open and shut properly. 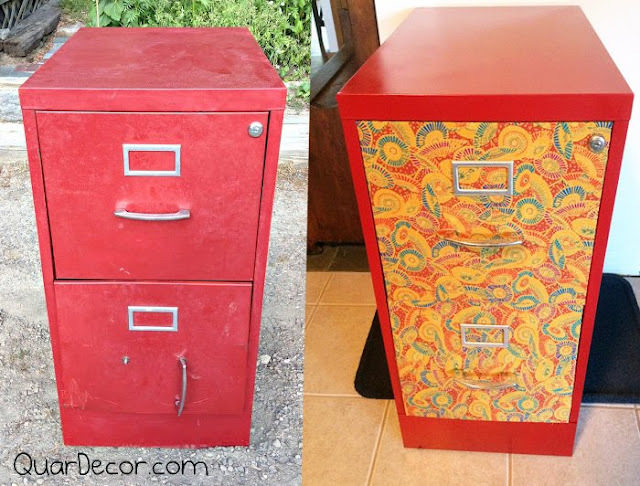 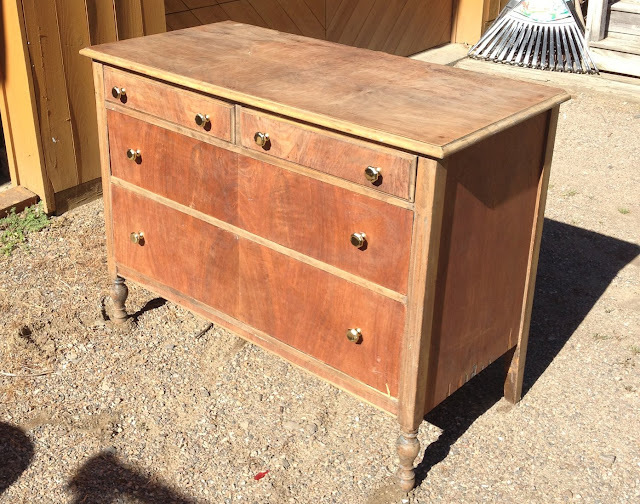 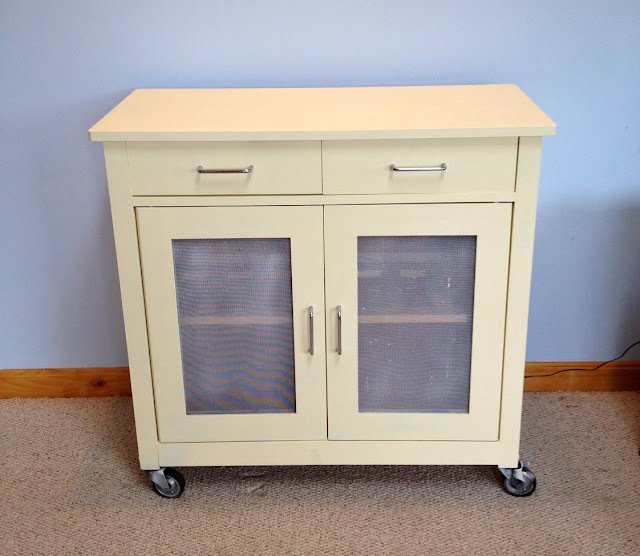 Then my well-rehearsed file cabinet revamp got underway: I removed the drawers and popped the hardware off to give it a good shine. 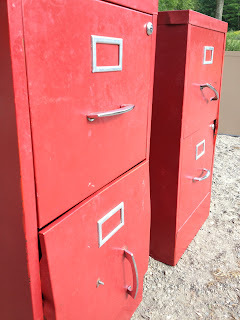 Then I cleaned the cabinets with a rag and spray painted them a deep red to cover up the scratches and minimal rust spots. 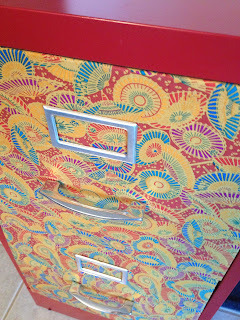 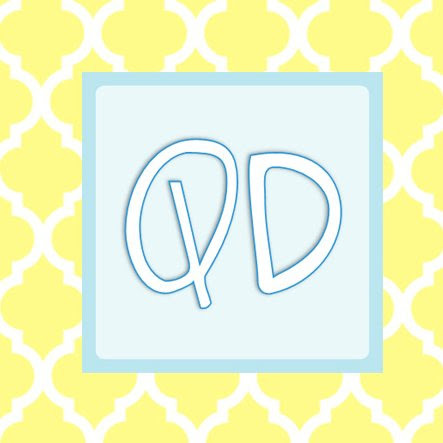 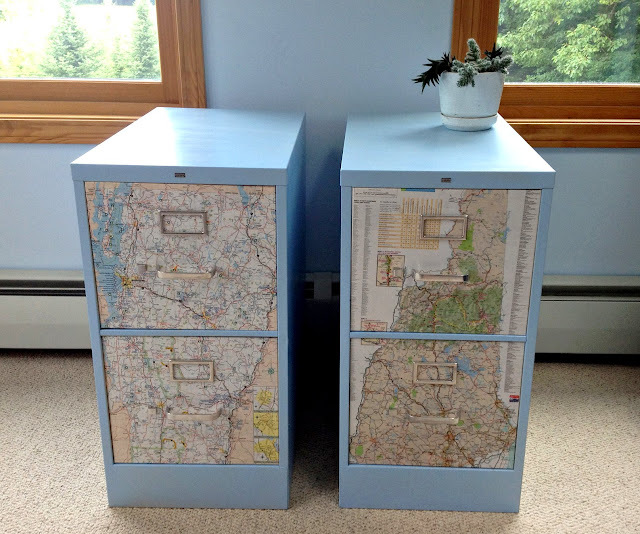 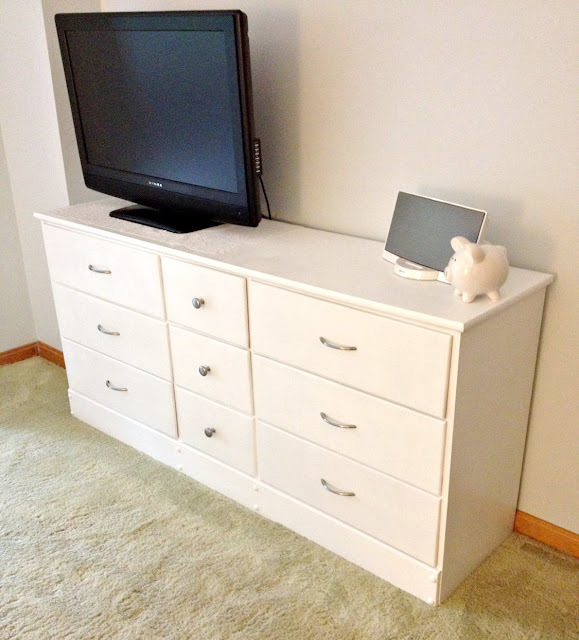 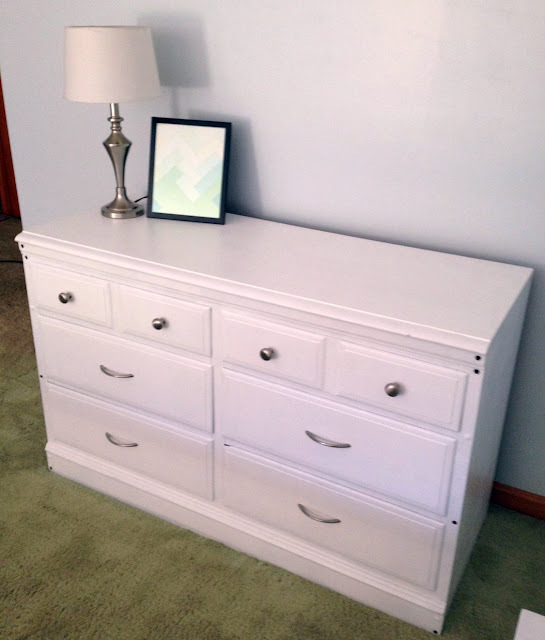 I spread Mod Podge on the front surface of the drawers with a cheap brush and smoothed the fabric down and around the front. I cut out a circle so the key hole could pop through. 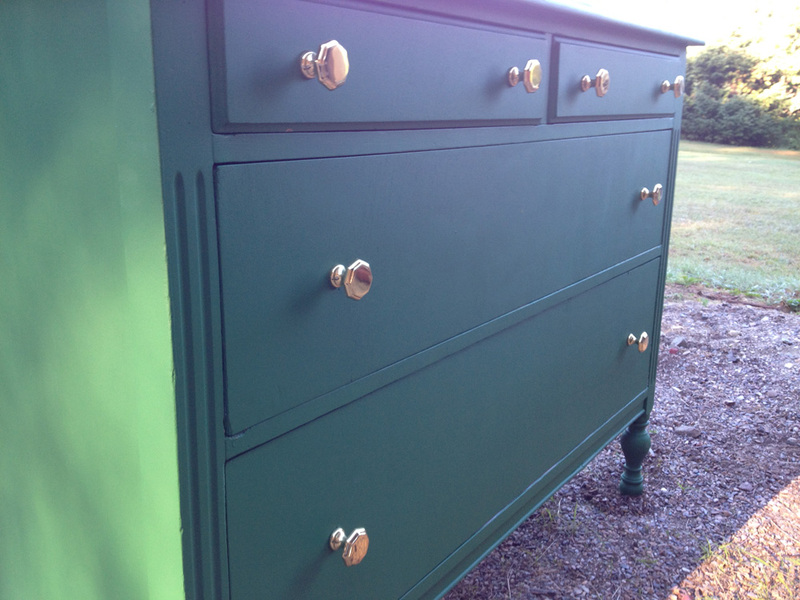 I let the drawers dry overnight. In the morning I took an exacto knife and cut the fabric through from the back to make holes for the hardware. 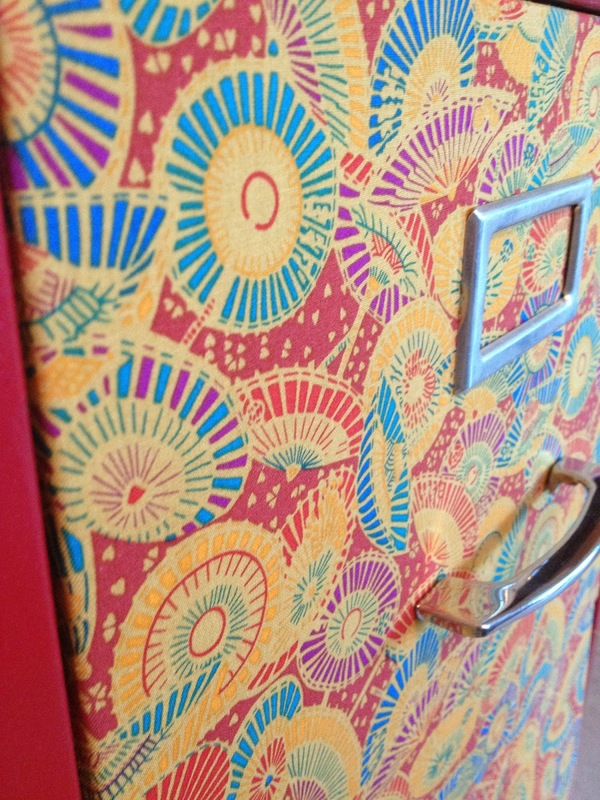 The fabric and the color is so bold and bright!